With a business minor and ten years of experience running and operating a massage therapy practice, I have learned a few things about the business of massage. 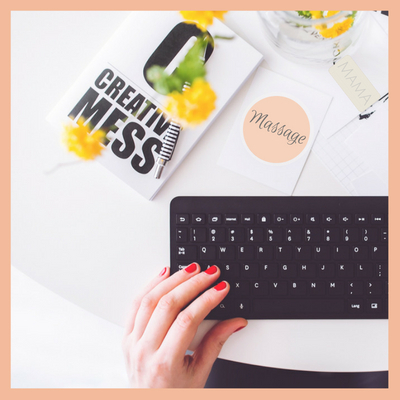 At The Massage Business Mama, you will find helpful tips to run your business efficiently and with ease. Learn from my mistakes and triumphs. 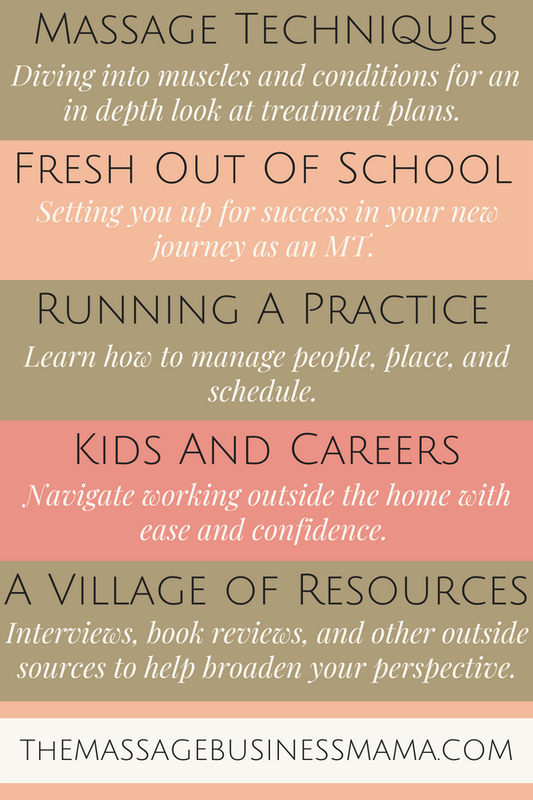 Whether you operate a practice of one, or a practice with many therapists you can benefit from the suggestions presented here. My business had a humble beginning. I began by renting space by the hour from an existing practice. Slowly over the years, I have grown. I now have 15 therapists, one receptionist, and four treatment rooms. In a few months, I am super excited to be bringing on an office manager for the first time in my businesses history. My philosophy has been simple, start small and slowly build yourself up. I like to focus on what I CAN do not what I CANNOT. So what I can and have done is slowly develop systems that allowed my business to mature in a sustainable way. I’ve learned that it is important in business to be realistic in your expectations. To not bite off more than you can chew. That’s not to say I don’t like to challenge myself, because I DO! I’m a huge goal setter, setting realistic goals and then having the discipline to follow through with those goals is what has gotten me where I am today. I hope to be able to help you sustainably mature your business as well. I’m talking to the entrepreneur in you! So dive in and see all the amazing things that await. If you are new to the massage therapy profession, this category is for you. It was developed to help you as an emerging therapist navigate your new healing role. Maybe you have been a massage therapist for awhile and you need ideas to freshen things up. Or you own or operate a business with many therapists. This section is for you. With practical business tips on how simplify and increase productivity. Here you can find tried and tested business books to help launch you into a more efficient, stream-lined practice. You will find reviews of products here that will simplify your business life.